As soon as news of Congress' victory in Madhya Pradesh came up and the chances of Kamal Nath becoming the chief minister started doing the rounds, people of Kanpur began celebrating for the success of the "son of the town". Kamal Nath, the newly sworn-in chief minister of Madhya Pradesh, has a strong connection with Kanpur. Kamal Nath, the newly sworn-in chief minister of Madhya Pradesh, has a strong connection with Kanpur. And now that Kamal Nath, a "son of Kanpur", has become the Madhya Pradesh chief minister, the people of the industrial town in Uttar Pradesh are rejoicing. RP Awasthi, a businessman in Kanpur, recalls that Kamal Nath did his early schooling in Kanpur where they were classmates. They, however, lost touch after Kamal Nath left to study in the coveted Doon School. "People here are taking great pride in the fact that Kamal Nath belongs to Kanpur," says Mr Awasthi. After finishing his schooling, Kamal Nath returned to Kanpur to complete his study in law from DAV College. Mr Awasthi says they met each other several times during that time. Soon after finishing his law degree, Kamal Nath left Kanpur and became active in politics. Mr Awasthi says they have drifted apart since then. Harprakash Agnihotri, district president of the Congress, says Kamal Nath was ambitious and forward-thinking since his early age with a strong interest in politics. He got the chance to hear senior national leaders, top office bearers and senior colleagues of Congress district committee several times. Kamal Nath even met Sanjay Gandhi at Doon School and became good friends with him, Mr Agnihotri says. Kamal Nath was very impressed with the vision and philosophy of the Congress, Mr Agnihotri says. 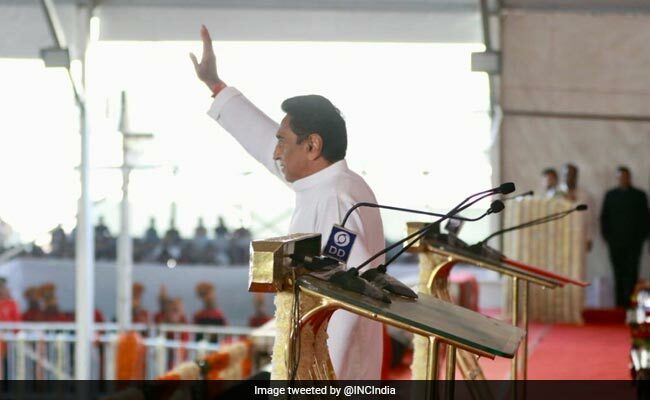 Seventy-two-year-old Kamal Nath was sworn in as the 18th chief minister of Madhya Pradesh after the Congress named the nine-time Lok Sabha member from Chhindwara to head the state Congress Legislature Party, following hours of hectic meetings held by party chief Rahul Gandhi and other leaders.